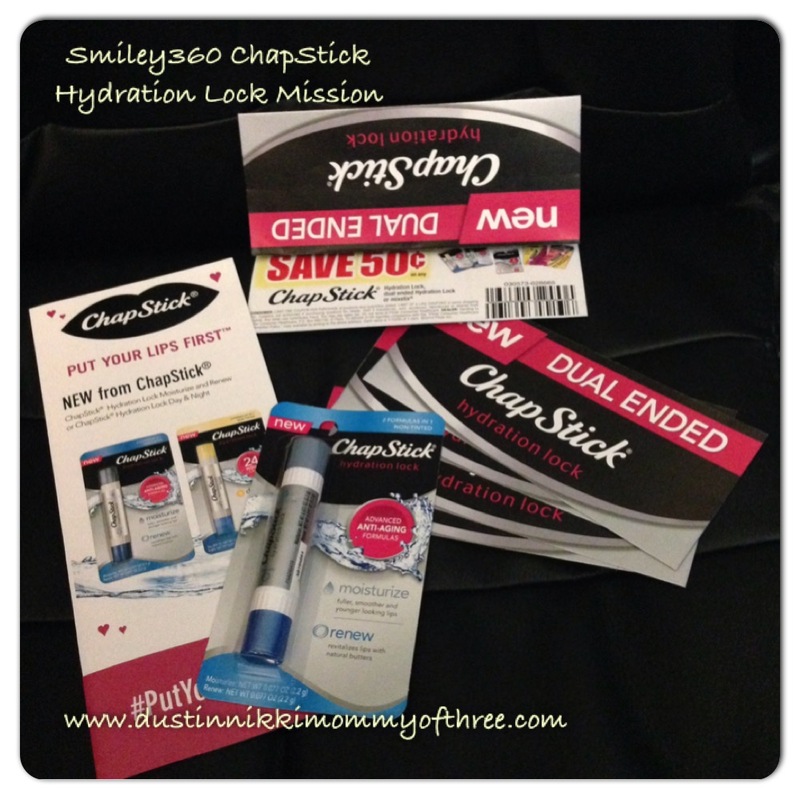 As a member of Smiley360, I recently received an opportunity to try ChapStick Hydration Lock. I was sent a free product for my use and review from Smiley360. All of the following opinions expressed in my review are 100% my own. There are two different kinds. There is Moisturize and Renew and there is Day and Night. Day and Night includes SPF 12. 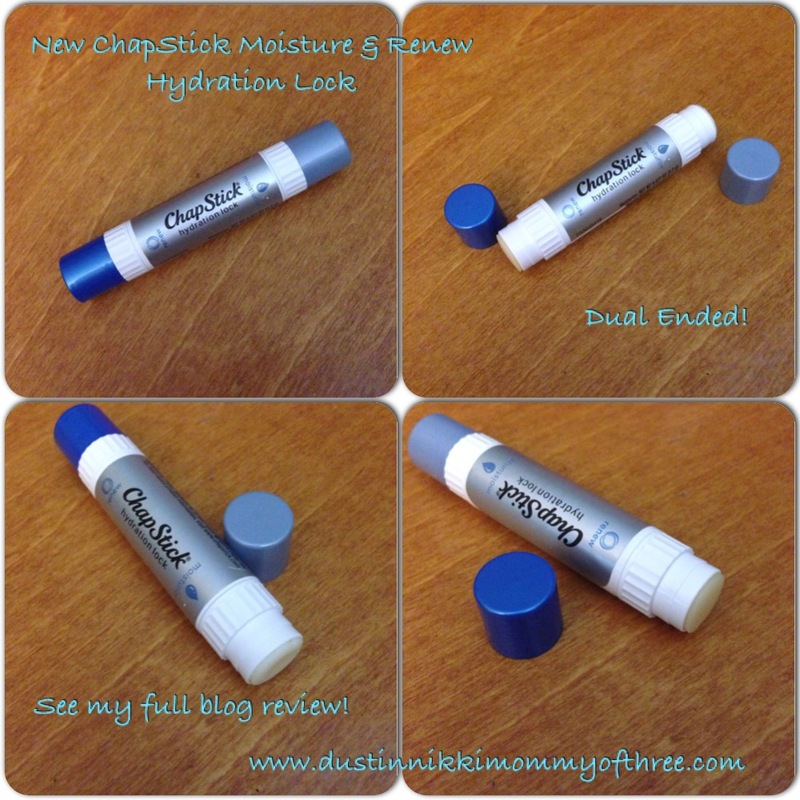 The product that I received is the ChapStick Moisturize and Renew Hydration Lock. What makes this product so great is that it is dual ended with two different formulas. Also along with the product that I received, I also received some information about the product and 5 coupons ($.50 off) to share with my friends. As I mentioned, this ChapStick is dual ended. One end if for moisturizing and the other is for renew. The moisturize side is obviously named for keeping lips hydrated and moisturized. The moisturize side included antioxidant CoQ10 and Hyaluronic Spheres. It is formulated to promote long lasting hydration to give lips a fuller and smoother appearance. The renew side is made with natural butters like shea and mango. It is formulated to soften, condition and revitalize lips. Both ends of the stick glides on really smoothly. Instantly my lips felt soft. It doesn’t have a taste at all but it does have a light scent to it. Like a shea butter scent. There isn’t any waxy odd aftertaste either. I didn’t notice any sticky feeling either. It definitely leaves my lips moisturized and hydrates my lips really, really well. It also helps reduce the appearance of fine lines on the lips as well. I have noticed after a week of using this product, that my lips have an overall smoother and softer appearance. I always tend to get dry lips in the fall and winter and I was actually starting to have an issue. I think I pretty much nicked it in the bud after using this product. Even if I happen to not use it for the day, my lips still feel smoother and look smoother as well. 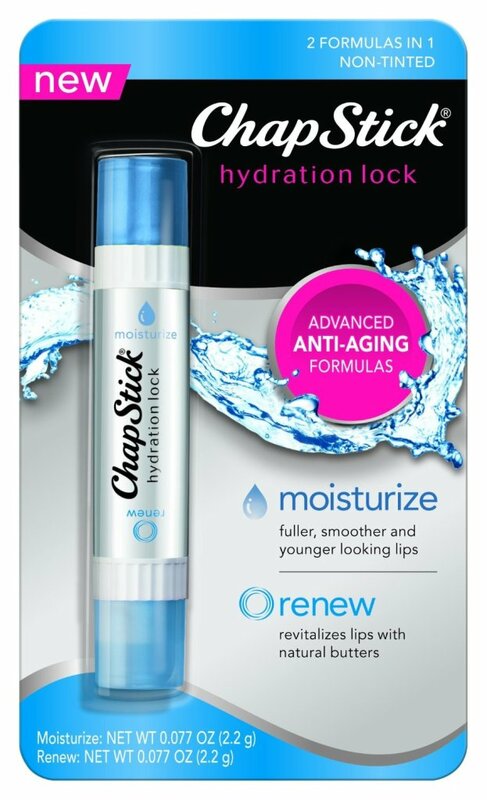 Since I like to wear lip gloss or lip stick, I like to use my ChapStick Hydration Lock under my lip color. I apply it before my lip color and it doesn’t change the appearance of my lip color either. My lips never feel like they are tightening up or getting dry while wearing lip color with the hydration lock on them. I would definitely recommend this product. I was very pleased with it! You can also click here for a $.50 off coupon for yourself! Disclaimer: I was not compensated for this post. I did receive a free product mentioned in my post from Smiley360 for my use and review. All opinions are 100% my own.